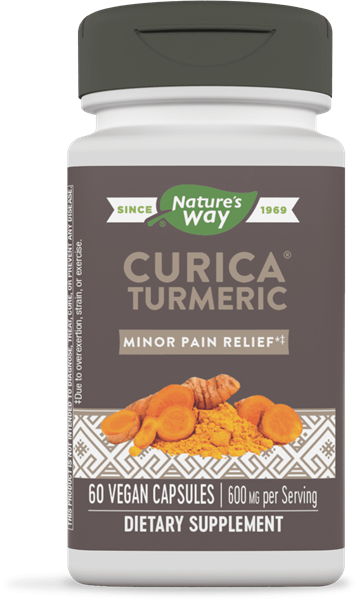 Curica® Turmeric - Nature's Way®. Curica® Turmeric utilizes a patented colloidal dispersion technology that dramatically improves curcumin absorption and bioavailability. Take 2 capsules daily, or as recommended by a healthcare professional. If pregnant, nursing or taking any medications, consult a healthcare professional before use. Theracurmin® is a registered trademark of Theravalues Corporation used under license by Schwabe North America, Inc.